Maximize your time and productivity with the exciting Split Screen View feature, allowing you to work on two apps at the same time. The Samsung Galaxy Tab E SM T561 Tablet is all you could expect and then a dash more. It is available in a stunning black color and sports a sophisticated and ergonomic design that looks impeccable and feels great in your hands too. The tablet is versatile and can be used by anyone in your family. It features a wide 9.6inch TFT display that looks bright and vibrant and even more so when used in Kids Mode. Kids Mode is a mode that enables your little lad to have fun on your tablet from time to time. This Mode reveals new and colorful icons and characters to catch your little one's attention and is a great way to keep them entertained while still imparting some knowledge. You can also regulate the duration of time your little one gets to be on the tab and what content is permissible and what is not. The tablet also features a massive 8GB internal memory that gives you ample of room to store all your files, such as movies, music, games, apps, and more. 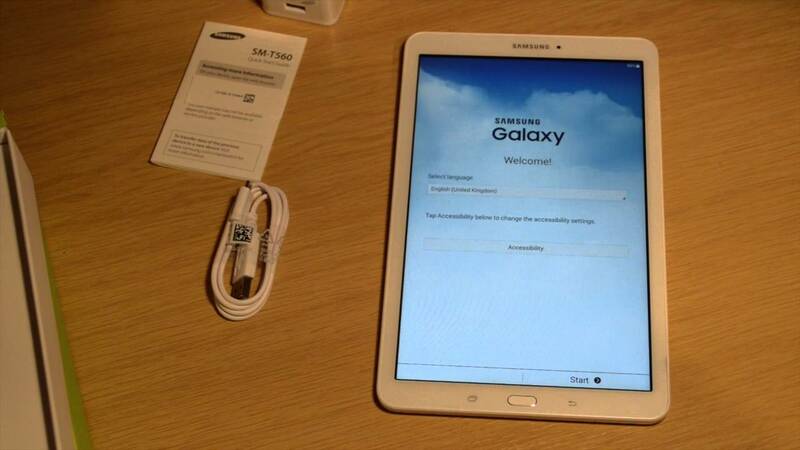 The tablet also features WiFi capability that lets you connect to available wireless Internet networks in the area. This is great for those who prefer their movies running smoothly to breaking at every scene and their downloads, uploads, and browsing to be faster. The tablet also features a 3G network that makes it possible to stay connected wherever you go. While offering all of the essentials, this tablet also gives you a bouquet of other interesting features. It possesses a dual camera facility; a 5MP rear camera and a 2MP front camera. Both these cameras come with highly sensitive CMOS sensors that make for lively and bright images and videos. The rear camera gives you high resolution images and lets you record videos in HD at 1280 x 720 at the rate of 30 frames per second. This camera also has a number of tricks up its sleeve, which include the continuous shot mode that can be activated by simply holding down the camera button. If you’re wondering how amazing the 2MP rear camera is, just take a look at those selfies you click and try out a couple of video calls with a loved one. This portable little wonder comes along with a wide 9.6inch display that uses the TFT technology to give you bright, colorful pictures that peak interest. It gives you outputs that make your content look magnificently vivid and lively. This screen features a color depth of 16M colors so you won’t be deprived of any of the realism that the director of the movie or video intended for you. This makes watching you favorite content an absolute delight. With resolutions of 800 x 1280 pixels, you can expect nothing short of detailed and sharp stunners that are defined. The spacious wide screen also makes moving things around when multitasking that much easier. This screen doesn’t look cramped when you undertake split screen multitasking! This tablet is equipped with a processor that has an amazing capacity and gives your operations a real boost of speed. This makes all your tasks a breeze and multitasking as easy as pie. Completion of tasks is now easy and almost effortless. The processor responsible for this excellent performance is Quad Core processor that has an intense capacity of 1.3GHz. The processor is accompanied by an extremely powerful 5000mAh battery. This battery works in sync with the processor, giving you a performance that not only lasts longer but is so much stronger. You get up to 7 hours of both Internet or video playback time. So you can go all day without having to charge once. 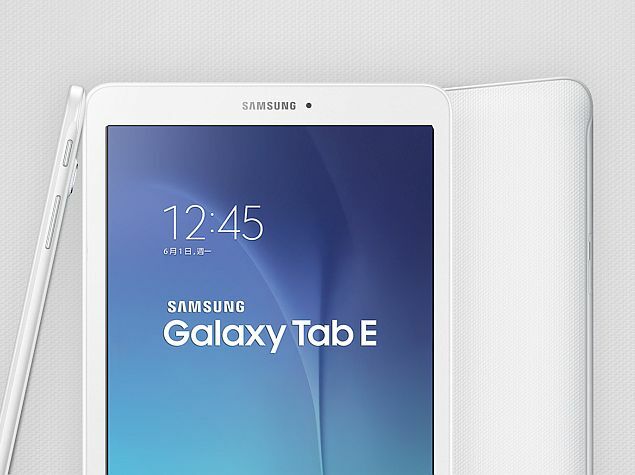 The Samsung Galaxy Tab E SM T561 Tablet is truly a tablet for all. This amazing tablet comes equipped with some amazing features, and one of them is the handy Kids Mode so that your kiddie can have fun, stay safe, and learn while at play. Kids Mode introduces your child to a variety of fun, educational apps that will get them interested in just the right things. This mode comes furnished with colorful and cute characters and icons of its own. You can even hold the reins by deciding factors such as how long your kiddie gets on the tablet while also monitoring access and blocking what you think is unsuitable. Order the Samsung Galaxy Tab E and have it delivered to your doorstep within 1-3 working days or same-day within Nairobi. Payment on delivery.